Coming in August! Win prizes! 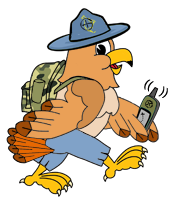 To celebrate our 5th anniversary (Aug. 18th) and the month of International Geocaching Day (Aug. 15th), we will be running a contest for the entire month of August, which encourages people to find and hide caches on our site. This contest is inspired by our first “Diversified Cacher Contest” in 2014, two similar “non-official” contests run in the past by one of our admins, NativTxn, as well as a local “alternative to the frog” contest run by Termite Hunter during May and June 2014 at the Greater Charlotte Geocaching Club website. We have prizes to give away! Want to play? Read on. There are 36 “actions” in which players can participate to score points (generally finding and hiding different types of caches on our site), including three bonus challenge actions. Players will need to participate in a minimum of 3 of these actions. Score 25 points to earn one entry into the drawing for all the great prizes. Players can earn an additional entry in the drawing for each additional 25 points they earn. The more you play, the more entries you get. Can you score 1,000 points? Then you will get 40 entries into the drawing for prizes. These actions, their categories and points they are worth, can be found here: 2015 Actions. Note this is not the entry form, it is just a list of the actions. Print it out for reference, and start making your plans! The official entry forms will be tentatively released on Tuesday evening, July 28th. First of all, you must be a resident of the USA, Canada, or Mexico. We are OpenCaching North America, after all. As mentioned above, we plan to release the official entry forms (and official rules) on Tuesday evening, July 28th, 2015. Watch this blog, our social media outlets, the main page of our website, and our forums, for a link to them. This entry form will be a Google Form on the internet. When the player enters the waypoint names for all their qualifying hides and/or finds in the appropriate actions fields (separated by comma’s, please), it will update the master spreadsheet at OCNA headquarters. The entry form can be be saved, and edited as you go along during the month, but a couple players had difficulty with that last year. We encourage players to print it out, and pencil in their results as they go along, and fill it out all at once at the end of the month. We will even accept scanned copies of the entry form with legible hand written entries via email! There are no OCNA caches near me! Then hide some for points! 🙂 Keeping in mind you would have to hide a minimum of 3 different types to meet eligibility for the contest . Deadline for entries, and the prize drawing. The deadline for entries will be Sunday, September 6th at 11:59 Eastern Standard Time. We anticipate the entries will be verified within one week, (keeping in mind the 3 OCNA Admins are volunteers, and have full time jobs and families), and the drawing for prizes should occur on Sunday, September 13th. We will use the website random.org for the drawing, as we have for other contests on this blog. As previously mentioned, you must be a permanent resident of The USA, Canada, or Mexico. Players must participate in a minimum of 3 “actions” to be eligible for prizes. Players earn one entry into the drawing for prizes for scoring 25 points. Players earn one additional entry into the drawing for prizes for each additional 25 points. What are the prizes, anyways? Admittedly, there will not be as many as the 2014 diversified cacher contest, where other Geocaching websites, and even smartphone games such as Munzee, Sighter and MonsterCache were part of the contest, and donated some great prizes. This year, you can expect Gift Certificates to online Geocaching retailers, some Geocaching related books, Geocaching containers, Pathtags, and more. Some of the Sponsors we have gone out to haven’t got back to us yet. With the drawing not being held until the middle of September, we could possibly add more and more prizes up until the end of August! Check out the main page of our website at www.opencaching.us for a link to the “sponsors page” in the future. Disclaimer: “Actions” and “Rules” as outlined in this blog post subject to change before their official release on Tuesday, July 28th 2015!! Aha! I’ve been looking forward to this announcement. I watched last years contest from the sidelines, and then kicked myself for net getting involved (although admittedly the multi-site focus sort of held little appeal for me). I’m gearing up and waiting for that August 1st date to role around to start submitting my hides. 1) Can you please clarify what it means to beat the admin? For example, would we have to hide more caches DG’s hide count at the end of the contest (which currently is 138)…or hide more caches during the contest period than the number of caches DG hides during the contest period? Hopefully my question makes sense. 2) can a single find count towards two actions? For example, if you find a T5 traditional, would it be worth 15 points (10 for the T5 attribute, 5 for being a Traditional Cache find)…or worth 25 points if it also has the poisonous plants attribute? one more thing (my oldest daughter came up with this one). How about a bonus entry for anyone who completes at least one of all 33 actions (which will be very tough considering the few drop-dead and mp3 type hides). Or maybe a bit easier, say, complete at least one of any 30 of the actions? I’m going to aim for that! I like 25 of the actions for a bonus. I’ll confer with the OCNA Team. No, beat DG for August only. And I’ll warn you, I think I’m going to change “beat Mr.Yuck” to finding rather than hiding. I just happen to most likely be going to Baltimore/DC towards the end of the month, where we have MANY caches. Using a cache for more than one action? I will say that came up last year, and we said no. But again, I will confer with the Admins.